See slideshow of pictures here. Larry Ellison, co-founder and board chairman of Oracle Corp., on Thursday christened in Austin what company executives call the home of the “workforce of the future,” which they hope can lure the young talent coveted by major tech employers. 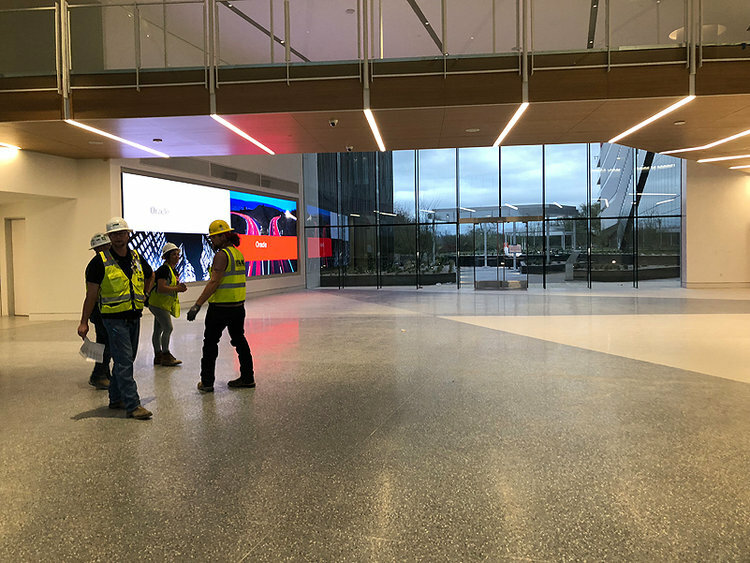 Ellison was speaking at the grand opening of the new Oracle (Nasdaq: ORCL) office in the Texas capital; work was recently completed on the initial phase of 560,000 square feet spread across a pair of office buildings. 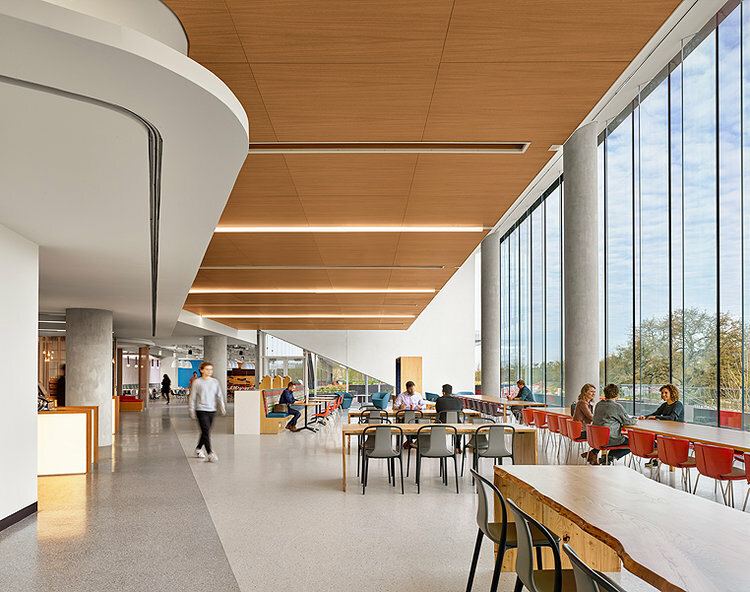 The gleaming facility, just outside downtown Austin on East Riverside Drive, is a bet on the city’s cool cachet and growing reputation as a tech hub. It has also fanned fears about intensified gentrification and international corporations dropping huge sums while crowding out longtime residents. Oracle is wielding the campus on the south bank of Lady Bird Lake with dramatic views of downtown as a recruiting tool to give it an edge as other tech giants stock their offices with video games, dog-friendly amenities, Airstream trailers serving tacos and other perks. 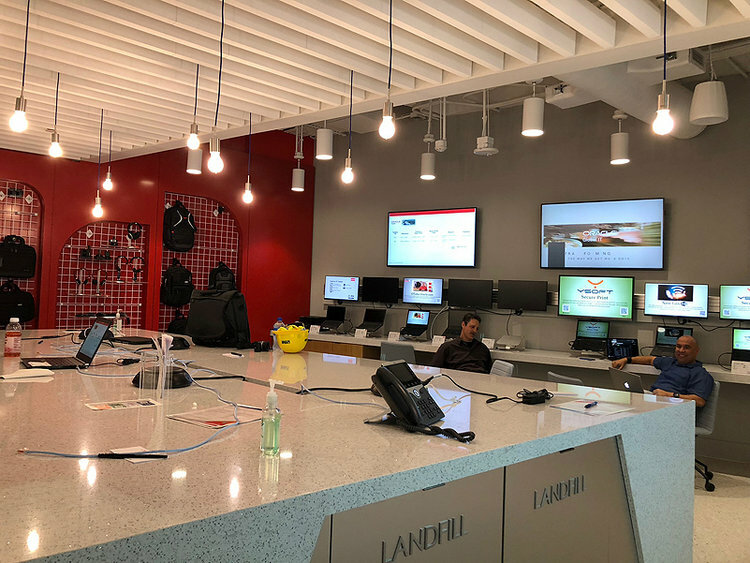 Oracle calls its Austin office a “sales innovation customer experience hub” for its cloud-computing business. 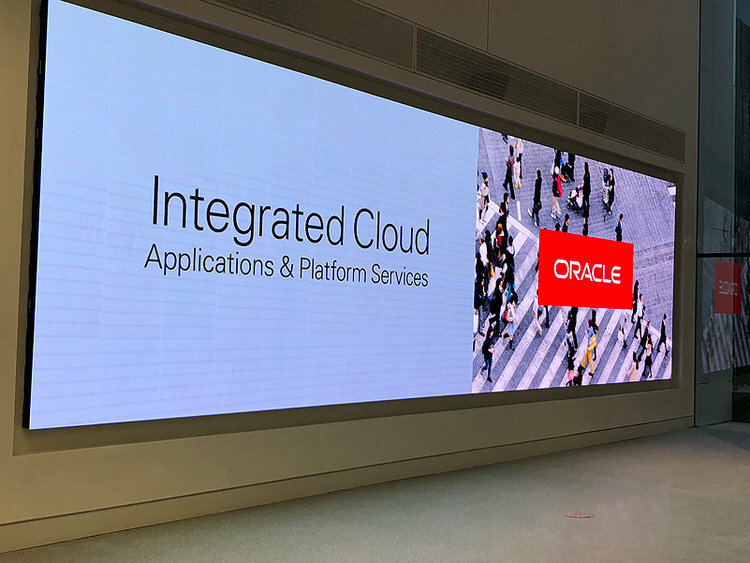 It has said it plans to initially have about 1,500 or so employees located there, many of them salespeople dedicated to getting more businesses to use Oracle’s software products. Oracle has at least 150 openings in Austin, according to online job postings. 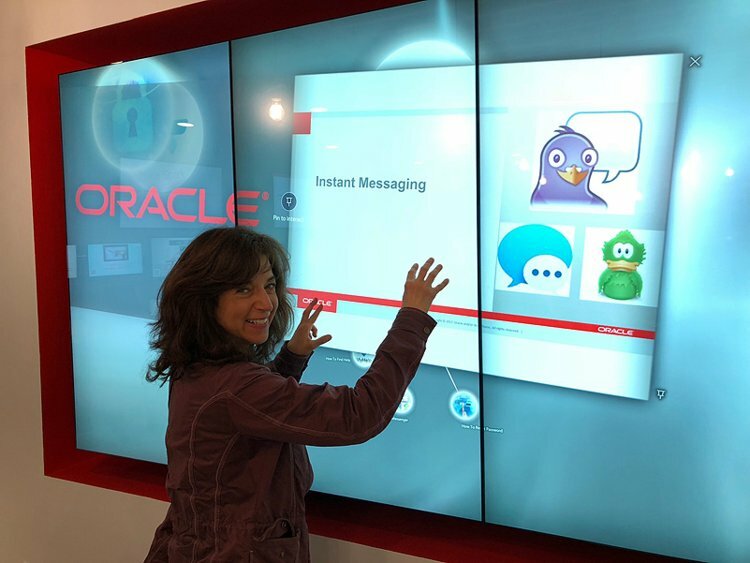 Oracle recruits many of its sales workers directly out of college, using a program known as Class Of; degrees such as communications, marketing and business are popular. New hires receive 200 hours of training, or more than a month’s worth of 40-hour work weeks. 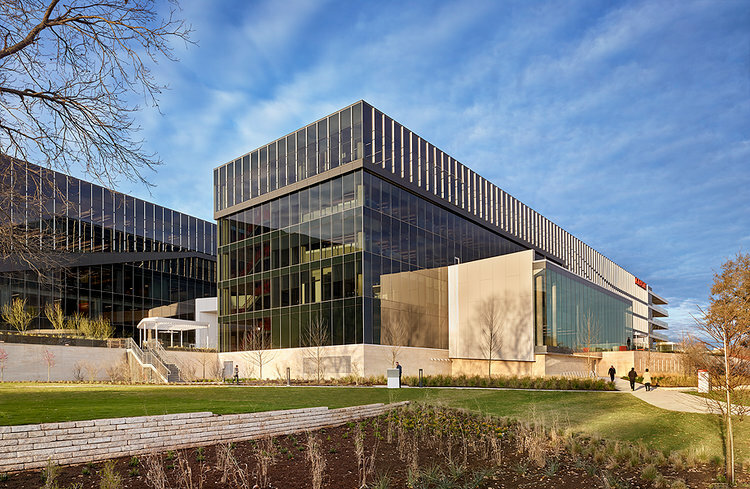 Perks at the Austin campus include a cafeteria on site plus free refreshments and coffee, a training center stocked with workout equipment, game rooms for table tennis and other activities and even a flag football field. The location is a perk in itself, a short drive from the Central Business District, with access to mass transit and on the hike-and-bike trail around Lady Bird Lake. Oracle has also pursued less traditional means to appeal to young workers. That includes buying the adjacent Azul apartment building, where employees can live within a short stroll from the office. Other tech giants such as Facebook Inc. and Google Inc. have also undertaken widely reported efforts to build housing on land they own. When Ellison and Oracle CEO Mark Hurd initially visited Central Texas in 2015, they were disappointed by potential office sites outside the urban core. Ellison said he refused to get out of the car when they arrived at an appointment in the suburbs, and stressed that he wanted the company’s offices to be in Austin. Hurd later confirmed that he and Ellison had visited areas near The Domain in North Austin and the suburb of Cedar Park. Then they arrived at the location on East Riverside Drive, Ellison was smitten and began talking about buying the land — as well as many of the adjacent parcels, such as the Azul apartments. The campus’ official address is 2300 Cloud Way, off South Lakeshore Boulevard less than a mile east of Riverside. “Finally Mark said, ‘What’s all this going to cost?’ I said, ‘I have no idea, but it’s going to be way less than California,’” Ellison recalled. Austin real estate firm Cypress Real Estate Advisorssold the initial land to Oracle in 2015. In order to build, Oracle had to demolish the Lakeview apartments, which were owned by Cypress. That resulted in a lawsuit from Lakeview residents who charged Cypress had ended the leases prematurely. The lawsuit has since been resolved. Austin-based STG Design was the architect, Ryan Cos. was the general contractor and Austin’s TBG Partners was the landscape architect for Oracle.